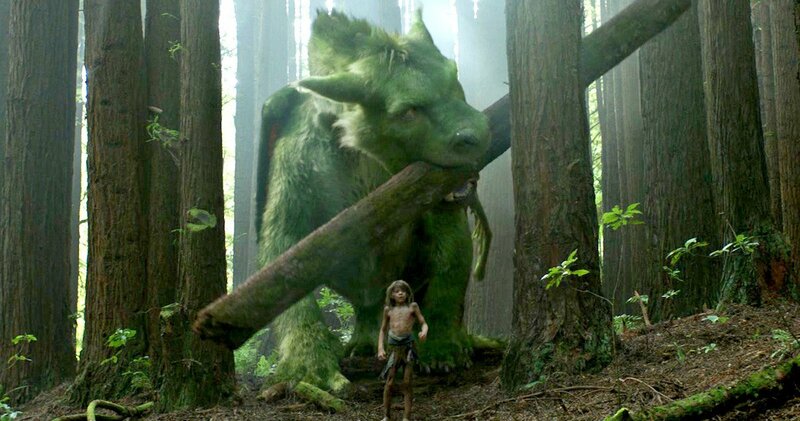 Pete’s Dragon is the type of movie where characters run toward each other for music-swelling, melodramatic hugs on at least four different occasions, and not once does the director undercut the moment with humor or irony. 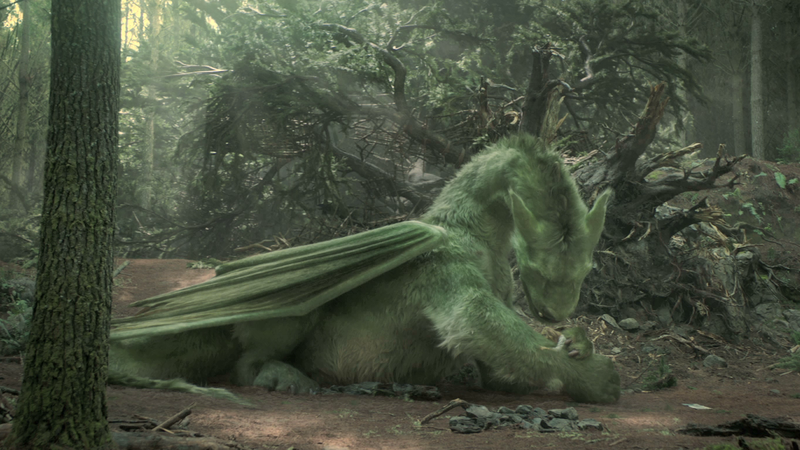 You might as well call it Pete’s Dragon: A Mad Case of the Feels because this is an unabashedly sincere story which narratively echoes Where the Wild Things Are and The Jungle Book and lives to make you cry while also feeling good about being alive and blessed to have friends and family. Awww, you guys. I’m about to cry. They rarely make mainstream movies like this anymore. Animation has almost completely taken over the live-action family film genre, and while sincerity is still welcome it must come in a post-modern package which makes adults laugh at all the pop culture references while the kids laugh at the funny animals falling down. Not surprisingly, Disney seems to be the only company still consistently churning out live-action family fare, with Pete’s Dragon joining the Mouse House’s growing recent roster of remakes and reboots (Maleficent, The Great and Powerful Oz, Cinderella and The Jungle Book). 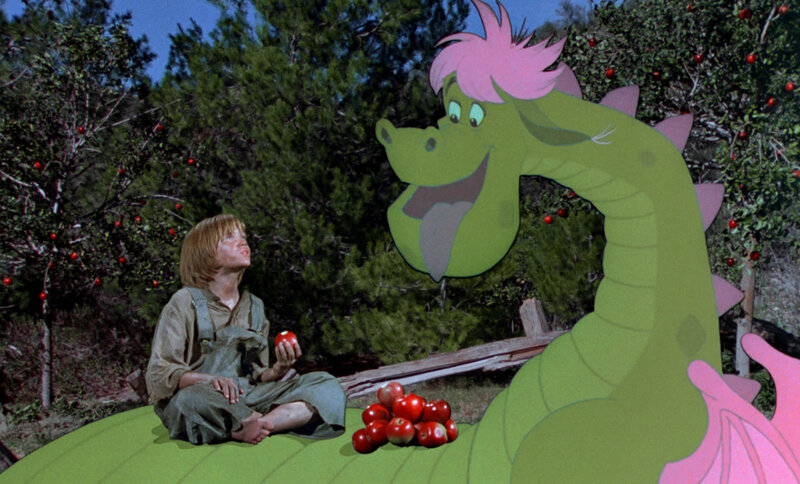 Pete’s Dragon might just wear its heart on its sleeve more proudly than any of them, sometimes to its detriment but ultimately turning into its greatest attribute, often times communicated through little more than the astonishingly soulful eyes behind the computer animated dragon. It all adds up to a lovely, timeless and, yes, occasionally hokey family film. There are more shots of mother figures staring affectionately at the titular young boy than there are pop songs on the soundtrack. Director David Lowery (Ain’t Them Bodies Saints), working from a script he co-wrote with Toby Halbrooks, keeps any overt commentary on deforestation at bay while also never completely settling on a definite time period (best guess is the 70s or 80). Of course, you can easily mock it, riff on the way Grace so instantly becomes a mother to Pete or how underdeveloped Karl Urban is as the nominal villain who attempts to hunt Elliott. Plus, Robert Redford seems to be delivering the same exact performance in every movie these days. However, it still works because there is an emotional honesty underneath it all, enabled considerably by the believable and touching bond formed between Pete and his dragon. Does This Movie Feel Like a Cheap Nostalgia-Grab? : Not really, but how would I really know since I haven’t seen the original? Is This Movie As Good or Even Better Than The Original? : No idea, but I can tell you this new one is far better than I expected. Will Kids Like It? : Depend how close they are to their teen years because Pete’s Dragon’s sincerity might feel uncomfortable or nauseating for those more accustomed to a steady diet of sarcasm and irony. Did I Like It? : Actually, I kind of loved it. RottenTomatoes: 86% – Pete’s Dragon continues Disney’s current live-action winning streak with an update that gives the original a visual overhaul without overwhelming its sweet, soulful charm. I wonder if the good reviews will push the box office into reasonable high numbers after all…. I am not quite sure for whom this movie is made. I mean, yeah, it is certainly made for families, but I guess they wanted to catch the fans of the original movie, too, and if my feelings are an indicator, they didn’t. It’s just…the main reason to watch the original is to watch Eliot. This cute drawn figure with a lot of personality in his facial expressions and his typical way of speak. And every time I see his replacement, I shudder. I mean, I guess he is cute and all in a dog-like way, but for one I am not a dog person and two, I want MY Eliot. Not…this. Fun fact, in Germany, they even changed the title. The first version was named “Eliot, das Schmunzelmonster” (roughly translated Eliot, the amused/chuckling monster) and this version is simply called “Eliot, der Drache” (Eliot, the Dragon)…I guess they know why…. Also, as I acknowledged in the review I’ve never seen the 1977 original, but I understand your argument about the Elliot you want being so different from the one this new movie provides. I can’t lie, though – The fact that I am a dog person probably had a lot to do with my enjoyment of this new Elliot, whose actions did remind me of my own dog on more than one occasion. As for the German titles, yeah, there’s no amused/chuckling Elliot in this one, although the animal sounds they did use for him were all very rich and full of character.